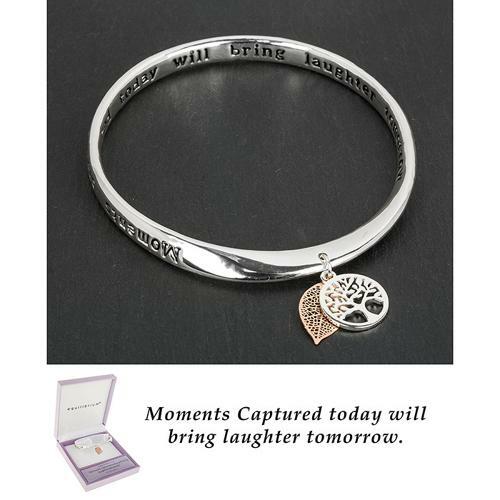 Silver plated bangle with the words 'Moments captured today will bring laughter tomorrow' engraved on both the inside & outside of the bangle. It also features a pretty rose gold plated leaf charm & a silver plated Tree of Life charm. Bangle slides straight over hand/wrist.